Shape your sound with the Tone Attack. 12 o'clock settings give an approximate unity gain with the pedal. Rotate the treble or bass knob counterclockwise to cut the corresponding frequencies. Rotate these same knobs clockwise to boost the frequency bands. The master boost knob can be used to attenuate your signal or push your tone to screaming loud volumes. MOD® Kits are designed to give both novice and experienced musicians the opportunity to build their own amps and effects pedals. 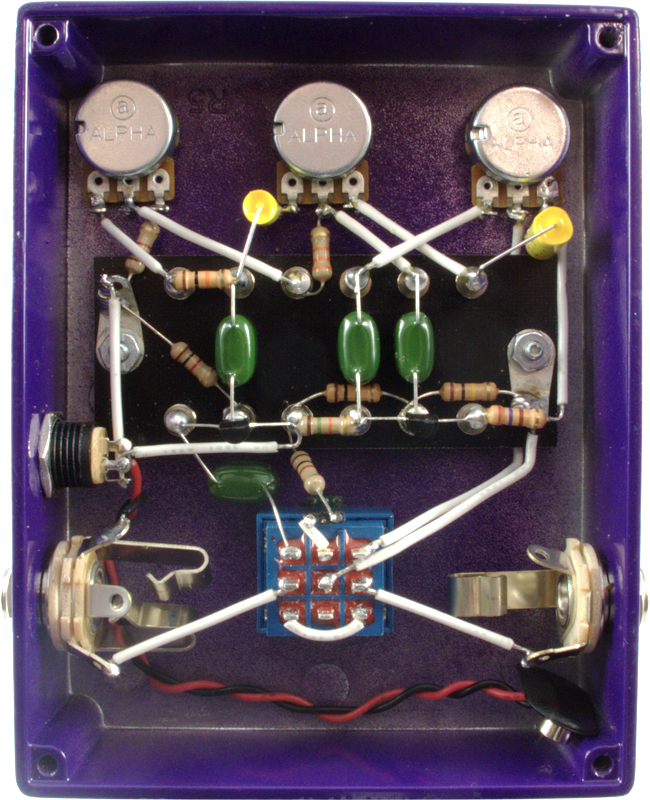 All kits come with easy to follow instructions and use point to point wiring. Pre-drilled enclosure and all parts are included. All you need to provide are hand tools, a soldering iron and solder. The Tone Attack operates on a 9V battery or AC adapter, which is not included. The Godlyke 9-volt adapter (M-PAS-S) may be purchased separately to power your new pedal. Packaging Dimensions 8.625 in. x 5.625 in. x 2.5 in.